Mosquitoes are the vectors of many diseases, one of which is malaria. 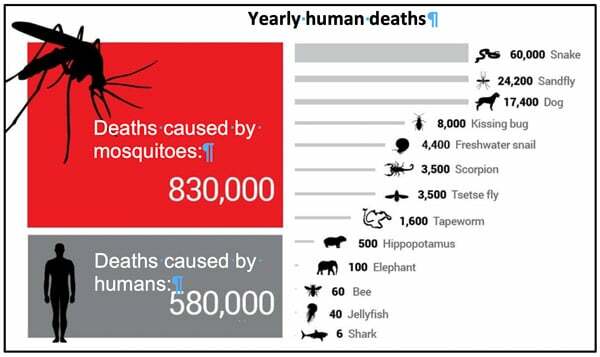 Every year, more people die from the effects of a mosquito bite than they do from the consequences of war. What mosquitoes have in common? Different types of mosquitoes spread different diseases, but all mosquitoes have these things in common. All species of mosquito breed in water. Female mosquitoes can lay between 100 – 400 eggs at a time. Usually, the eggs are deposited in clusters – called rafts – on the surface of still water, or they are laid in areas that flood regularly. Eggs can hatch in as little as an inch (2.54cm) of standing water! Culex and Anopheles mosquitoes are the most common mosquitoes. These mosquitoes are most active when the average temperature is above 70 ºF/21 ºC. Their eggs must stay in water in order to survive and usually will hatch within a couple of days, releasing larvae to begin the development process. 1.6 km (1 mile) of where they hatch. Males usually live about five to seven days, while under ideal conditions, females can live two weeks to a month. There are more mosquitoes in the rainy season than there are in the dry season, because in the rainy season there is more water for them to breed in. To combat malaria, mosquito breeding sites need to be reduced so that mosquitoes have less chance to breed. A good way to control mosquitoes is to spray special chemicals on their breeding sites so that the developing mosquitoes are killed before they are able to bite and spread disease. 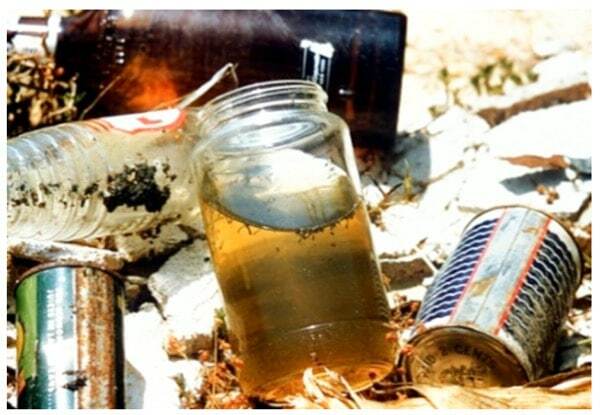 Another way to control mosquito numbers is to pick up bottles, tins and other containers that can fill with water and provide mosquitoes with a breeding site. By burying rubbish, filling up puddles, stocking ponds with fish and reducing sites where water lies on the ground we can reduce mosquito numbers in our communities. Mosquitoes have four distinctive life stages, with the first three stages being spent in the water. An adult female mosquito lays between 100-400 eggs in clusters called rafts, which float on the surface of the water. Eggs may also be laid singly on the surface of the water or the water’s edge depending on the species of mosquito. Within 2-3 days the eggs hatch into larvae. Larvae are sometimes called wrigglers. The larvae come to the surface to breathe through a tube called a siphon and feed on small organic particles and microorganisms in the water. 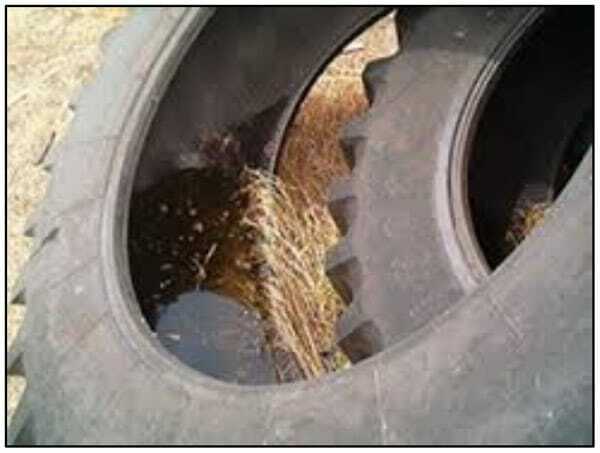 Larvae are found in a wide variety of standing water sources including neglected swimming pools, ditches, storm drains, rice fields, irrigated pastures, tree holes, log ponds, snow pools, ponds, artificial containers, and even discarded car tires. Larvae shed their outer skin (this is sometimes called moulting) four times during the next several days or weeks. The fourth time it sheds its outer layer: the larvae changes into a pupa. The pupa cannot eat. It breathes through two tubes on its back. The adult mosquito grows inside the pupa and in several days, when it is fully developed, it splits the pupal skin and emerges to complete the life cycle of the mosquito. The newly emerged adult mosquito rests on the surface of the water until it is strong enough to fly. Once the female has mated with a male mosquito; she flies off in search of a blood meal. Female mosquitoes require a blood meal to lay eggs. Male mosquitoes do not feed on blood. Diseases such as malaria are transmitted when female mosquitoes feed on an infected host, become infected themselves and then feed on an uninfected host and thus pass on the infection. Only female mosquitoes bite. They bite in order to get access to blood which they use to develop more and stronger eggs. If you have been bitten by a mosquito – it was a female. Male mosquitoes do not bite. Female mosquitoes use two very different food sources. They need sugar for energy, which is taken from sources such as nectar, and they need blood as a source of protein for egg development. 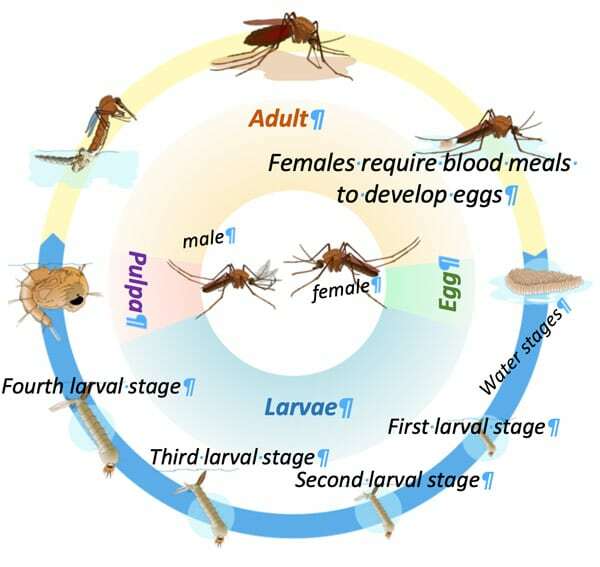 Once a female mosquito has bitten its victim and taken its blood meal, she goes away to a dark place to digest the blood and to rest; after which she goes to a watery place to lay her eggs. Once she lays her eggs she flies off looking for another blood meal so that she can make and lay more eggs. 5. They spread diseases that kill humans. Diseases that mosquitoes carry, can be viruses, bacteria, or parasites. Transmission of disease takes place when an uninfected mosquito takes blood from an infected host. In the case of malaria, it takes a few days before the parasites develop inside the mosquito, but once the parasites have developed in the infected mosquito it passes the parasites onto the next person it bites. There are approximately 3,500 species of mosquitoes in the world. Three groups are important for us to know about. •	Culex mosquitoes – these spread diseases like West Nile Virus and Filariasis; they bite during the day and night, but mostly during the night. •	Aedes mosquitoes – these spread Dengue fever, Chikungunya, Filariasis and Zika virus; they bite during the day. •	Anopheles mosquitoes – which spread malaria and Filariasis; they bite during night.